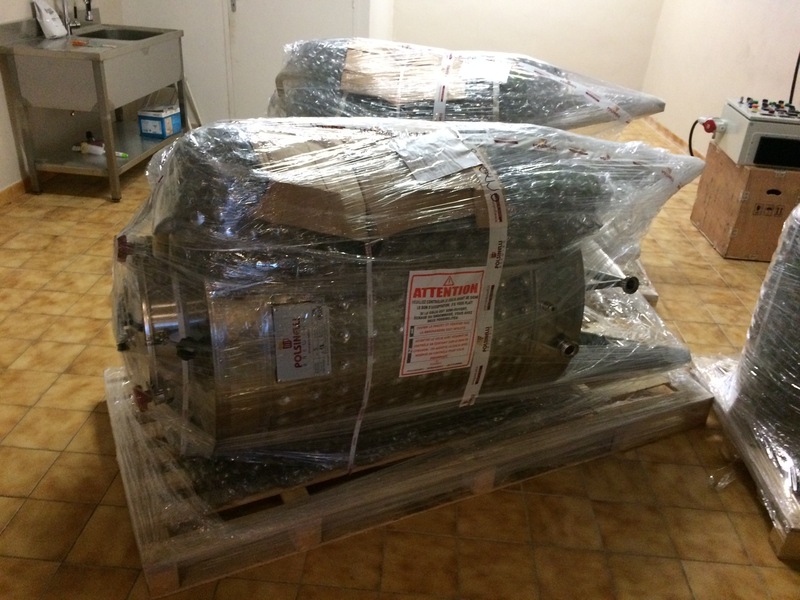 After a very long wait (over 5 months) the new brewery equipment finally arrived. The italian manufacturers have made a name for themselves for providing great value equipment but using second-rate delivery companies, but this time, the kit arrived on a state-of-the-art new tail-lift truck, and looks very well packaged. The 9 tanks and other associated equipment were unloaded efficiently and I was left to discover what lay beneath the packaging. Only one small bit of damage with the 500 litre clarifying tank suffering a dent on its way here. Hopefully I will be able to knock it out with a rubber mallet. Now its time for me to make the necessary modifications.